Nominations are now open for the 2015 Sustainable Transport Award, which will highlight one city’s leadership in sustainable urban mobility. Photo by Alex Proimos/Flickr. EMBARQ – the producer of TheCityFix – together with the rest of the Sustainable Transport Award (STA) Committee, invites you to nominate your city for the Sustainable Transport Award! Nominations are open now and will be accepted until September 15, 2014. 2013 winner Mexico City was recognized for expanding its Metrobús bus rapid transit (BRT) system and implementing the ECOBICI public bike-sharing program, while 2014 winner Buenos Aires transformed its city center into a pedestrian thoroughfare. Other cities from around the world have reduced greenhouses gas (GHG) emissions, improved air quality, brought in transit-oriented development (TOD) strategies, and nurtured healthier, more vibrant communities. This award, while meant to highlight the achievements of one city, is also meant to show all city leaders what can be achieved by integrating sustainable mobility into planning and governance. Nominations are accepted from any interested parties – including government, non-profit/NGOs, community groups, or academic institutions – that have a working knowledge of the city’s projects and can provide verifiable data and contact information for the city. The winning city will be announced at the 94th Annual Transport Research Board Conference, hosted in January in Washington, D.C. This ceremony draws over 12,000 urban transport professionals from across the country. Past speakers have included former Bogotá Mayor Enrique Peñalosa, New York City Transportation Commissioner Janette Sadik-Khan, and Mexico City Mayor Marcelo Ebrard. Buenos Aires, a city of three million, implemented 23 km (18 miles) of its Metrobús Sur BRT line, expanding the system throughout the city and cutting commute times in half. The city also transformed its city center into a pedestrian-friendly environment, along with redesigning much of its signage and intersections across the city to make walking safer and more enjoyable for people. These design changes have created a culture where people feel their safety is placed above the efficiency of car travel, while also making it easier for residents to gain greater access to their city in a way that promotes health. 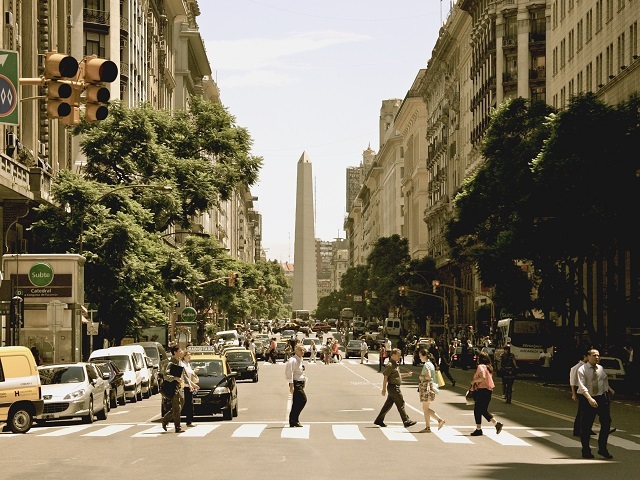 To learn more about Buenos Aires’s success, or nominate your own city, please visit here. For more information on the award, contact Jemilah Magnusson, Communications Manager at ITDP.